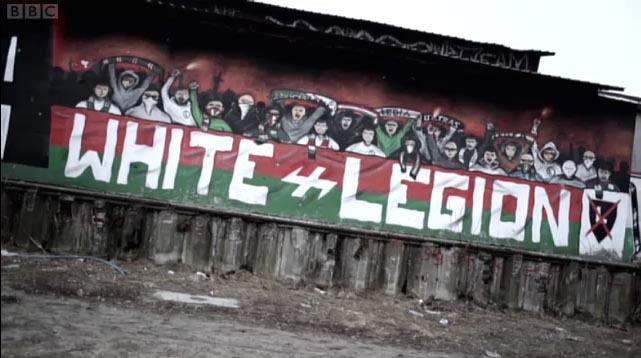 Last Monday Panorama’s Euro 2012: Stadiums of Hate aired on BBC One showing “shocking new evidence of racist violence and anti-Semitism at the heart of Polish and Ukrainian football“. The show caused controversy and met criticism from officials and many other viewers in both countries for being sensationalist and misrepresentative. The programme documented violence towards policemen and stewards and anti-Semitic and racist chanting and banners in Poland whilst in the Ukraine fascist ‘Nazi’ salutes were seen at every match as well as more anti-Semitic and racist chanting, a far-right group of hooligans and a racially motivated assault on a group of students by fans supporting the same team. With the exception of a reference to a specific banner displayed by fans of a Polish team in Rzeszów two years ago that read “Death to hook-noses” everything in the programme took place during a month long visit in the run-up to the European Championships being co-hosted by these two countries. It makes for extremely uncomfortable viewing. Jamie Stokes in the Krakow Post stated last week that “the image of this country (Poland) portrayed in the documentary does not reflect the one I know“. Whether Panorama’s coverage was as balanced as it could have been or not, most English viewers should be aware (despite the fears of many in the host nations) that the incidents shown do not mean that everybody in Poland and the Ukraine is racist, nor that all football fans in these countries are racist not least because it is not so many years ago that football in England was regularly marred by incidents of overt racism and hooliganism as well as pockets of highly questionable right-wing politics. Worse than that we were the ones that invented most of it; it is unmistakably linked to the so called English Disease that still rears its ugly head from time to time although thankfully not to the same degree as previously. Despite, or even partly because of this however, the severity of the scenes from Panorama happening in the present day are deeply disturbing. As Sol Campbell explains in total exasperation as he is shown footage of anti-Semitic chanting in Poland “I know it was (like this in England) at one stage but in the 21st century this is on another level“. The fact that this assessment comes from somebody that was still playing in 2011 and suffered racist and homophobic abuse as well as death threats at points during his career in England gives an idea of just how shocking some of the footage is. For me however, this is not primarily about the Euros at all; as Michał Zachodny (who quite aside from this issue is well worth following on twitter: @polishscout) suggests, Panorama may have “proved to misunderstand the differences between club and international football” in Euro 2012: Stadiums of Hate. That said, The Netherlands had to complain to Uefa over racist chanting during their training session on Wednesday, ruining hopes of a racism free Euros before the first match had even kicked off. “Unfortunately, there is also the bad side. There is the right-wing side, strongly politicized, wanting to influence young minds of those flowing into the stands of stadiums in Poland. The nationalism is preferred among ‘ultras’ groups, the country is seemed as the greater good, while the main assumptions are, indeed, too close to what was shown on the BBC on Monday night. This brings us onto the part of Panorama’s footage that I personally found most troubling; that of the Krakow derby. 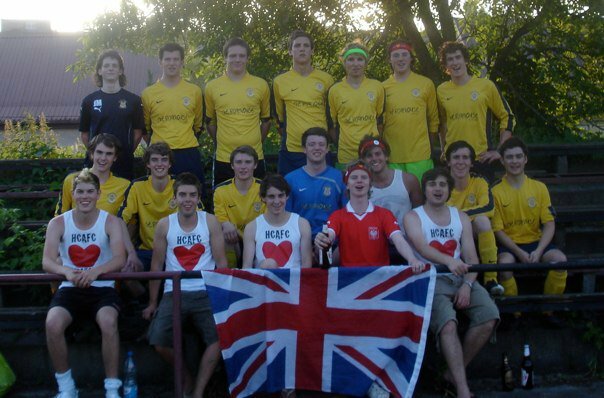 This is because in 2010 I travelled to Krakow on the kind of stag-do-esque football tour that probably gives the residents a justifiably dim view of us Brits, football fans or otherwise, and of course had a fantastic time. The city centre was beautiful, the people were mostly friendly and we even played some football! We all left Poland in no doubt that Krakow was an excellent place to visit. During our week there some of us, despite the light-hearted nature of our trip to Krakow, decided to make the short journey out of the city to visit the infamous Nazi concentration and extermination camps at Auschwitz. It is a trip that many England players themselves made today. 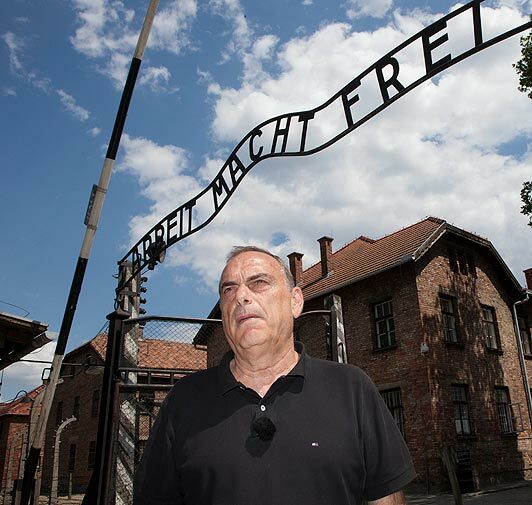 Avram Grant says that after a person has visited Auschwitz for the first time “they are not the same after“, something I would certainly agree with. The Stalin quote about a single death being a tragedy and a million being a statistic, whether he said it or not, is all too true and even though we all knew of the camp until you actually visit it it’s almost impossible to begin to comprehend the atrocities that took place there. 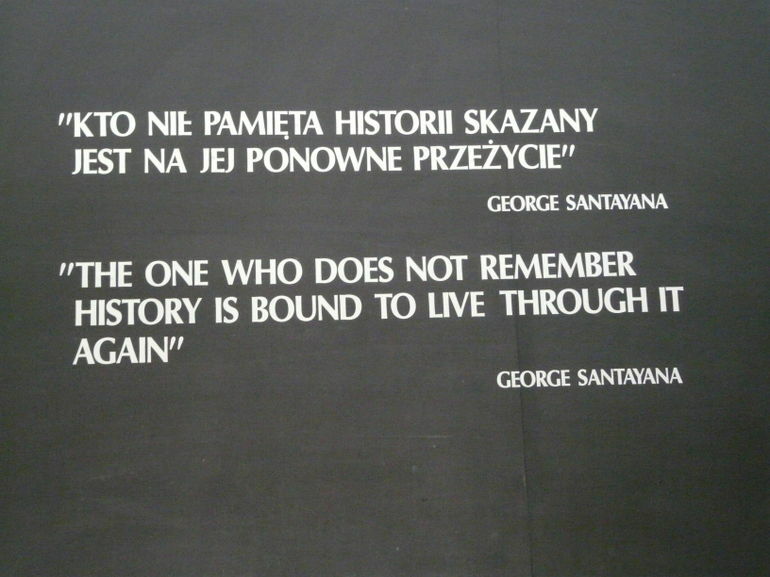 Around one and a half million human lives were taken at Auschwitz by fellow human beings. That’s one and a half million. Most of them were Jews. As they got off the train to visit Auschwitz last week Avram Grant said to Dan Walker “and now we go to hell” before reflecting later that “hell is a nice word” for that place. Grant’s own father was a Polish Jew; a man who saw his family decimated by the holocaust, burying his own sister and father with his bare hands whilst at least fifteen other relatives perished at Auschwitz. Krakow is just 30 miles from Auschwitz. Oskar Schindler’s factory, also visited by England players, is in in the city of Krakow iself. Yet in the words of Nick Lowles from Hope Not Hate “anti-Semitism is very strong… as we saw tonight people had (anti-Semitic) T-shirts on, people were not being confronted by stewards“. 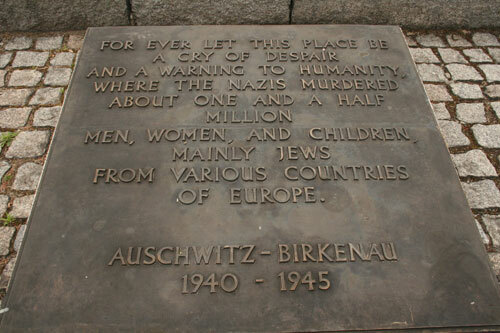 It is worth remembering also that not only were a large proportion of the Jews murdered at Auschwitz Polish but that tens if not hundreds of thousands of non-Jewish Poles were among the victims too. The existence of any iota of anti-Semitism in such a place is appalling, the fact that the authorities have done so little to deal with it is even more so and is intensely troubling. Views like the one expressed above, however apologetically conveyed, are disgraceful and only serve to exacerbate the problem. Perhaps part of what has ruffled feathers in Poland and the Ukraine is that whilst Markian Lubkivsky may be wrong about the profligacy of Nazi symbols in English football, they have certainly been seen in other big ‘western’ leagues in recent years as well as racist chanting including incidents that forced Samuel Eto’o and Marco Zoro to walk off of the pitch in La Liga and Serie A respectively. 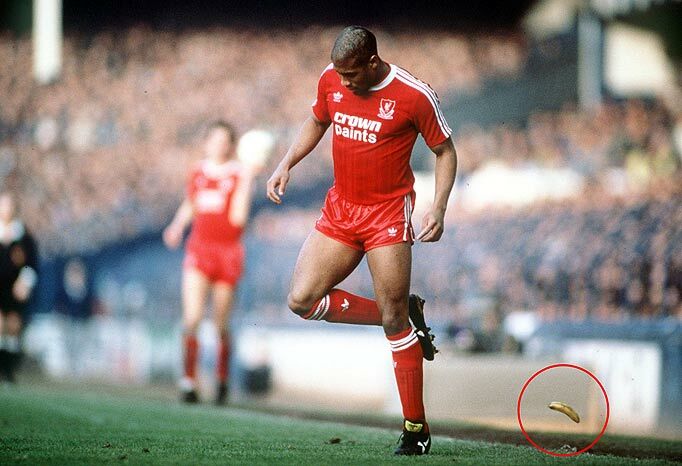 Racism is clearly still a problem in football across Europe. Despite this it is hard to believe that the situations in the host nations are not particularly bad cases (whilst appreciating at the same time that that Poland and the Ukraine are two very different countries). For me though it is the unchallenged anti-Semitism and extreme right-wing displays in Poland, especially in the South, given the context of what happened there in the last century that stand alone as the most shameful and disgusting state of affairs that I have been aware of in my lifetime as a football fan.